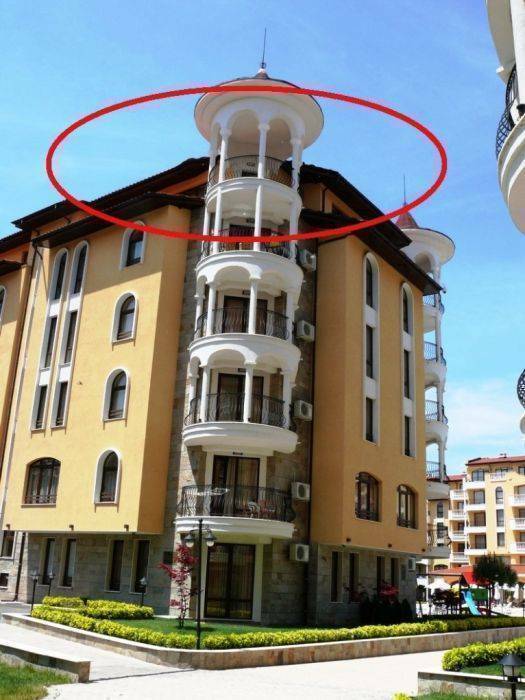 Two apartments for rent from owner in the most modern and luxurious Holiday complex “Royal Sun”, Sunny Beach!!! 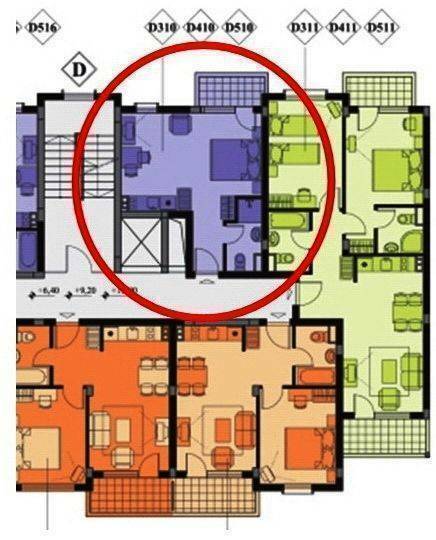 2-room apartment (for 4 adults) and Studio apartment (for 3 adults)! Prices lower than at Reception desk! More info at my website!! 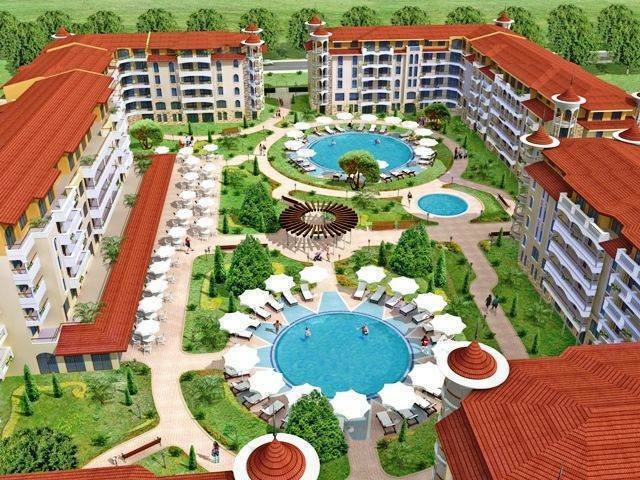 Holiday complex “Royal Sun” is the most modern and luxurious complex on the Bulgarian Riviera, Sunny Beach, is situated 30 km north of the second largest city on the Black Sea coast – Bourgas. The resort is rich in entertainment facilities – hundreds of restaurants, night clubs, discos and cafes, thus making the area an attractive spot for Bulgarian and foreign tourist. Sunny Beach is awarded with the EU Blue Flag. 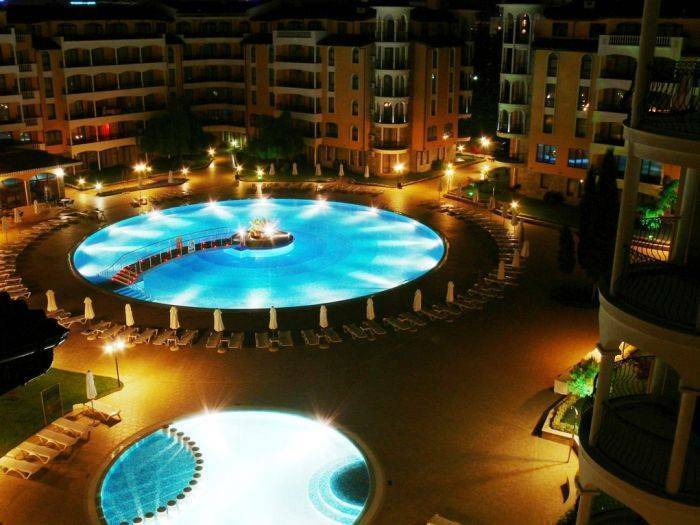 The complex is situated in the center of the famous Sunny Beach resort, only 15 km from Bourgas airport. Sunny Beach is the largest resort on the Black sea coast in Bulgaria, with developments of a lot of Bulgarian beach properties, built in the last few years. There are regular bus services and mini trains that run regularly to each area of the resort and to the old town of Nessebar. A boat is running regular trips every 20 minutes from Nessebar to Sunny Beach. The sandy beaches and lots of entertainment and facilities make Sunny Beach a desired place for investment and holidays. The exact location of the complex is in the western parts of the resort of Sunny Beach, only 300m away from the beach and 200m away from the central pedestrian street. 3 swimming pools, including children’s – over 1000 sq. m.
More info: at my website! P. S. 2-room apartment is on the last 6th floor, it is on the corner of house with large balcony. Beautiful view on two sides - the pool and street/hills. South side, very nice and sunny! 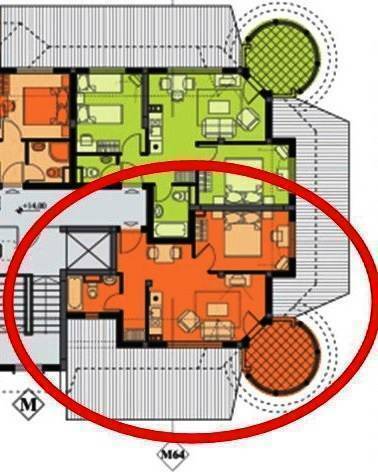 More info about both apartments: at my website! The most modern and luxurious complex on the Bulgarian Riviera, Sunny Beach, is situated 30 km north of the second largest city on the Black Sea coast – Bourgas. The resort is rich in entertainment facilities – hundreds of restaurants, night clubs, discos and cafes, thus making the area an attractive spot for Bulgarian and foreign tourist. Sunny Beach is awarded with the EU Blue Flag. 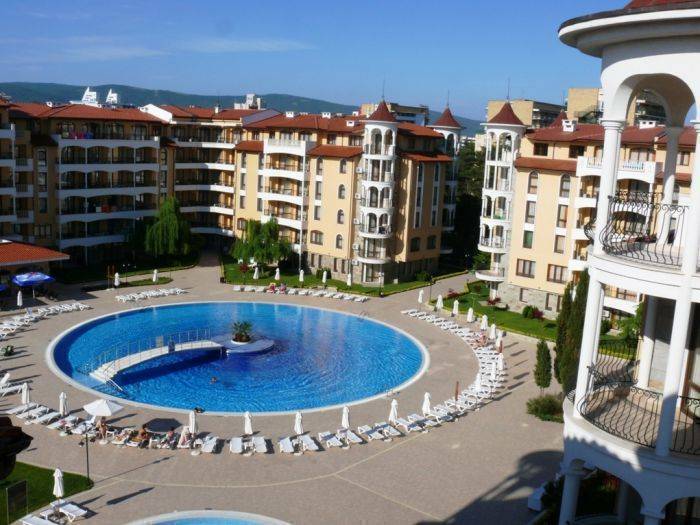 The complex is situated in the center of the famous Sunny Beach resort, only 15 km from Bourgas airport. There are regular bus services and mini trains that run regularly to each area of the resort and to the old town of Nessebar. A boat is running regular trips every 20 minutes from Nessebar to Sunny Beach. Nearest airport: Only 15 km from Bourgas International airport.